The Ottawa real estate market is becoming more balanced. This means that it takes a little more to sell a home than simply putting up a “For Sale” sign on the front lawn! One of the most effective ways that sellers can ensure they showcase their home in the best possible light, is to stage it. Staging a home is not about decorating. It is not about style and it goes beyond cleaning and decluttering. It is done after the minor repairs such as painting, fixing leaky taps and replacing any broken items is completed. It is about dressing the house up for sale and creating appeal for buyers. 1. It makes your home look great in photos. Buyers start searching for their next dream home on the internet. Staging will ensure photos of your home are as nice as possible in order to entice potential buyers to visit. 2. It eliminates potential problems that buyers may see with a home. Any little problem such as closet doors that don’t close, dirty bathrooms or smelly garbage makes the buyer emotionally disengage from the house. Their mind is on the future problems and annoying details they will need to attend to once they move in. Staging a home makes it look ready to move into and buyers are less likely to deduct money from their offer for future fix-ups. 3. It broadens your home’s appeal to people with different tastes. The aim of staging is to create a look in your home that is fresh and welcoming. Style aside, most people appreciate and strive to live in a home that is: welcoming, organized, comfortable, peaceful, clean, warm, inviting and spacious. If you stage it well, you will have potential buyers describe your home using these terms. 4. It sells an ideal lifestyle. Staging is not about selling YOUR lifestyle. Buyers are looking to fulfill a dream and improve THEIR lifestyle. By objectively staging your home you are inviting an emotional connection to your home. Doing this can get you more money for your home if the buyers decide they want the lifestyle your home is showcasing. Successful builders will stage a model home to entice buyers and show what lifestyle is possible in their houses – it invites buyers to dream of the possibilities. Buyers will imagine having al fresco dinners on the patio in the summer. 5. It makes buyers forget about their “must have” list. Feeling at home in a house can make buyers reconsider their list of “must have” items for their next home purchase. It becomes an emotional connection with the home and not just a logical buying decision based on a rigid checklist. 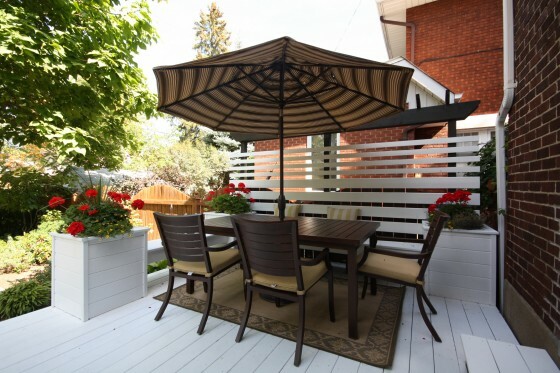 Visualizing al fesco dinners in the summer on your staged patio can make them forget that your house does not have their desired 2 car garage for example. You want your home to sell quickly because the longer it is on the market, the more likely buyers will think there is something wrong with it. In addition, if the house sits, you are more likely to have to make a price adjustment. Focus instead on making a small investment by staging your home ahead of time to ensure you sell it quickly and for top dollar. Do you have a story about a home you bought or sold because it was staged well? We’d love to hear about it – please share below. Whether you are a first-time buyer, or you have been through a real estate transaction a few times, you will find it helpful to roughly calculate the balance of funds that will be due on closing. Being properly prepared and having a reserve of funds ready will alleviate some of the stress that results from seeing a final statement of adjustments. Below is an explanation of some typical fees and disbursements that buyers will be required to pay when closing on the purchase of a residential property. This is not an exhaustive list and cost variations do occur for some of the items. Check with your Realtor for additional explanation. Survey $500 - $1000 Cost varies according to size, type and location of property. Title Insurance $250 - $350 Cost of survey may be avoided. Mortgage Financing variable May include application fee, insurance fee, broker’s fee and discharge fee for current mortgage. Land Transfer Tax variable Payable on most residential real estate purchases. Buyers may be eligible for a Land Transfer Tax Rebate up to a max of $2,000 if they are first-time buyers. Legal Fees $500 - $1500 Lawyer’s statement of account will normally include the fee, plus cost of disbursements. Tax certificate, building clearance, title search, water and hydro certificate, natural gas status, transfer/deed, charge/mortgage, copies, faxes, long distance phone calls, courier, etc. - Fire Insurance highly variable Adjustments are designed to ensure that all ongoing expenses of the home are being paid by the seller up to the closing date so that the buyer is only liable for these expenses from the possession date forward. Realtor fee variable These usually do not apply to buyers since the Realtor will receive a commission from the seller. Some exceptions can apply so it is best to discuss with your Realtor. Buyers should keep in mind that all the above estimates are approximate and that the list is not exhaustive. It is a good idea to discuss the subject of closing costs with your Realtor if you have questions. Do you have a personal story to share about your experience with the closing procedures of a home? Did I omit something from the list? Please leave a comment -other readers would love to hear about it. For first-time home buyers, nothing beats the excitement of embarking on that new adventure – the home search. But buying a home isn’t always simple and can be stressful at times. 1. Using an online mortgage calculator to determine how much home you can afford. Get properly pre-qualified by a bank or lender BEFORE beginning your home search. To get an accurate pre-approval, your lender will need to run a credit report as well as a review of your employment history. This should have you submitting your latest T4 slips, Notice of Assessments and pay slips. 2. Forgetting to budget for the closing costs. Aside from a down payment, you should have enough funds to cover the closing costs of the transaction. Calculate the Land Transfer Tax for the home you are purchasing, add the costs of the lawyer fees as well as disbursements. This is the approximate amount of money you will need to have on hand in order for the transaction to be completed. 3. Forgoing the home inspection to save money. A home inspection can uncover problems that are serious enough to make you reconsider the purchase, or have you ask for a credit/discount from the seller. First-time buyers should also look at the home inspection as an opportunity to learn about their new house and what it will require in terms of maintenance. It may cost a little for the inspection, but it can save you a lot of money in the long-term. 4. Believing this is the last home you will buy…at least for a long, long time. The reality is that most people will live in 3 – 5 homes before retirement. This means that considering the resale value of a home is important. 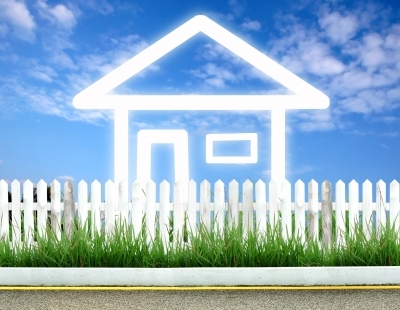 Even if YOU don’t mind living beside a cemetary, and you definitely like the price tag on the house, you should consider how easily you will be able to sell this home (should you need to) in a few years. First-time buyers often look for their “dream” home. 5. Looking for the “perfect” home. No matter what your budget, the perfect home does not exist. Everyone has things they love about their home, and things they wish they could change. From being located on a busy street, to wishing the house came with a garage, there will always be something on that wish list that cannot be satisfied. As well, there are things in houses that wear out, require updating or maintenance. Just because the carpet looks tired or the windows need replacing, it doesn’t mean it is not a great house. Owning a home comes with a long list of “To do’s” which starts the day you get your keys and ends when you hand them over to the next owners. 6. Thinking you’ve found the “perfect” home. Buying a house can be a very emotional process, so rational thinking is very important. Can you imagine seeing your little ones playing in that nice backyard as you look out from the kitchen window? If you have begun thinking in this manner about a house, you are at risk of overpaying. Make sure you are keeping an eye on the true value of the home – a professional Realtor can help you with that. 7. Believing you can find a house without the help of a Realtor. If you think scanning the MLS website is all you need to do when looking for a home, you are missing out on a valuable (and FREE) resource. Working with a Realtor when searching for your first home is one of the best things you can do to protect your interests. From guiding you through the purchasing process, advising you on home values and prices in your chosen neighbourhood, to helping with the closing of the transaction, a Realtor is there to help. Interview a few Realtors to find someone you can trust and have a good rapport with. Do you have any other tips for First-Time Home Buyers? Please share these in the comments section – someone will be glad you did.